Just last month we celebrated our first birthday as Spaghetti Agency but we’ve actually been running this business a lot longer. Jo had her business Jo’s Correctional Facility, and we’ve been training businesses on social media, creating content, and generally making a noise for businesses since before we even took the leap to set up our company. You’d be forgiven for thinking that we’re just a Gobby Cowboy and an Organised Cowgirl – rolling with the punches and making the right noises with two smartphones and a lot of luck! There might be some truth to this, but we’re far deeper than that – honest! At the last count we had 12 people in our biz and it’s growing. 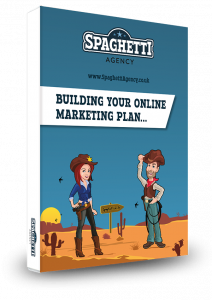 We’re using the power of social media and networking to build an agency that offers you and other businesses the best and just recently we bagged another cowgirl – yeehaa! Welcome to the team, Charlotte. Charlotte is an epic PR queen who’s not shy about telling people that she’s created viral content and made a splash on everything from CNN to the ABC and all the local press and industry magazines in between! If you think you’ve seen a lot from us so far, just wait until you see what Charlotte has planned. We’ve both known Charlotte for years (and Jo went to school with Charlotte many years ago!) 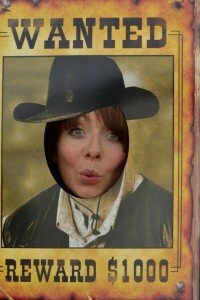 so we’re really happy that we’ve managed to lasso her and put a cowboy hat on her. Anyway… this week’s blog is from Charlotte. I asked her to tell us why PR is important. Well… here’s Charlotte POW of a response. 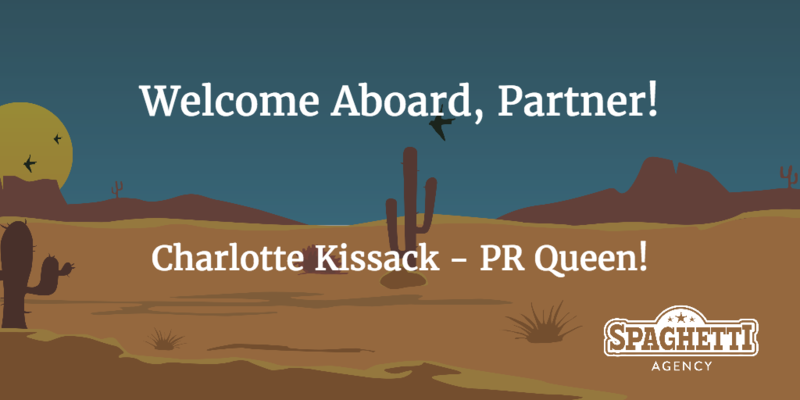 Welcome aboard to new #TeamSpaghetti member, Charlotte Kissack! Sir Richard Branson does, at times, come out with some genius quotes that make businesses throughout the world sit up and listen. I mean, with his own private island, a ski lodge in Switzerland, several internationally renowned businesses and a global brand (amongst others) to his name, why wouldn’t you listen? But PR, publicity, press coverage – it’s not for you, right? You’re a small-ish business, you’ve got nothing to say, no one would be interested in you, you’re not newsworthy….right?! PR can benefit your business in a multitude of ways and I am going to tell you why – so I need you to get off the modesty train and listen up! PR… so you work in marketing? Advertising? Oh… You’re an out-of-work journalist? Public Relations is part of the marketing mix; the ever-growing umbrella that continues to encompass new technology and exciting developments in the marketing world. For as long as we’ve had a way of delivering news to the masses (in the UK, since the 1600 when the first newsletters were printed in England) PR has been in play. Actually, listen up fact geeks: historians have even found early form of public influence and communications management in ancient civilisations during the settling of the New World and during the movement to abolish slavery in England. How cool is that?! You need to know what exactly PR is and then we need to look at how it can help you. Contrary to popular belief we’re not all spin doctors, like Max Clifford, and (sadly) we don’t wake up with a morning glass of champagne and go on endless jollies (like Ab Fab’s Patsy and Eddie). For the most part we’re hardworking creative types who are constantly looking for interesting and engaging stories to capture your target audience’s attention so that they choose you over a competitor. PR: it’s more than just promotion! In this overly competitive world, if YOU don’t tell customers about you, who will? PR is communicating with your audience, so when an advert tells you “Buy our product, we think it’s great because…” it’s a sales pitch. On the other hand, PR is similar to a third party endorsement. When the media tells you about a product, writes about an organisation or features a service on their programme your customer is more likely to take notice. It’s a proven fact that consumers are more likely to make a purchase based on third party endorsement than an advertisement. 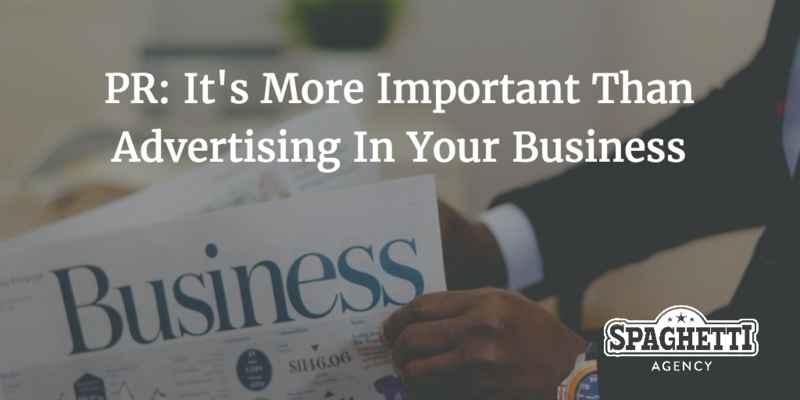 However for you, the business, you’re paying for the services of a PR professional, which is far more cost-effective than the price of a radio ad or a double page advert in a magazine or newspaper. What might seem like a massive milestone for you is of no particular interest to anyone else. You need to make your story interesting. I’m using the spider analogy as it happened to me today – I got rid of a massive spider on my own and I didn’t kill it. It was such a big and brave thing for me to do (soooo brave!) but you don’t care. It’s not going to make any difference to your day or whether we end up working together (although if we do, a pat on the back for said bravery will be mightily appreciated!). So, my point is, you need to think of what is newsworthy. Not many people will care that you have launched a new website, and a journalist receiving thousands of press releases a day certainly won’t give a hoot. However, if you can identify an angle that will capture people’s attention or link something from your company to what is trending in the press, there is every likelihood your story will get picked up. Summer 2007 and I was given a new series of pocket phrasebooks to publicise. The “new phrasebooks launched in 15 languages” press release was not getting any pick up, I was despondent and my clients were getting increasingly annoyed at the lack of coverage. So I flipped it… I redrafted the press release to focus on the fact that my client had discovered the Top Ten chat up lines that work in every single language. I worked with the translators to translate 10 awful and cringe-worthy lines into French, Spanish, German, Slovakian etc and we sent the press release out. It went mental! The press release went global – CNN, ABC, Le Monde and (much to my Nan’s delight) the Daily Mail! The client was ecstatic and I got my coverage. So, I get creative, make it relevant, make it newsworthy and watch the media get interested. Sounds good, right? PR is part of the wider marketing mix and in order to keep your business or product front of mind and ahead of the competition, it’s so important to use all parts of that mix. You need to deliver a consistent message across all channels to develop a strong level of trust with your audience. Why? Because this in turn often leads to increased sales and a better reputation. An ongoing PR plan can be a crucial part of your business development. You guys already know that social media experts (yes I used that word given present company!) can help drive engagement, but add PR into the mix right from the planning stages of any campaign and you’ll have a remarkably successful campaign. Sadly, the days of yesterday’s news now being today’s chip paper are long gone. With all newspapers now online (and some even solely operating online) news (both good and bad) hangs around much longer than the next big story. PR specialists can really help in times of crisis. From a carefully worded reply to a disgruntled Trip Advisor review, to setting the record straight on BBC Breakfast, you need someone to react quickly and efficiently to minimise any damage. It’s often the person that is not directly involved in your business that does this in the best way. I’m lucky to work with clients I fully believe in – so whilst I have a similar passion and understanding of their business, I also have more level head when it comes to helping them publicly sort out a crisis. PR isn’t for you…? Really? So, think you don’t need PR? My advice is to think again. If you still need convincing as to how PR can work for you then let’s get you down to the ranch for a pow wow over the campfire! 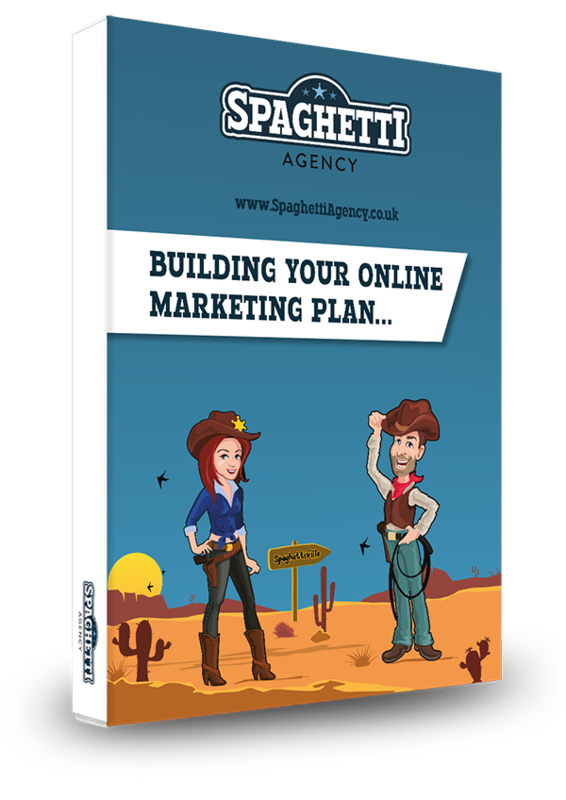 Contact Spaghetti Agency now and we’ll make sure you’re BIG news! Enjoyed this blog Charlotte, totally agree, PR is under utilised and should be in every marketing plan before you spend money on ads, as it’s free! As is CSR. It just takes some effort, thought, creativity and relationship building – many SME business owners just don’t have the time / inclination to do it.